Looking for a way to drink hot chocolate without a bunch of calories? The stores are filled with artificially sweetened hot cocoa mix that tastes...well...okay. How about if you took the cocoa beans and actually ground them up and made a "coffee" like drink? Instead of using roasted and ground coffee beans in your coffee maker, you use roasted and ground COCOA beans. 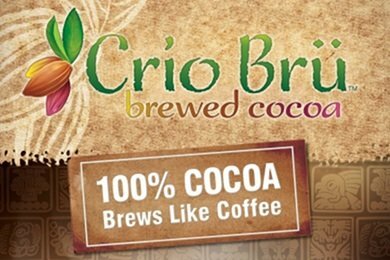 Crio Brű is a Church of Jesus Christ of Latter Day Saints approved drink that is only 10 calories for four ounces and tastes of CHOCOLATE. It isn't sweet, but I found that I liked it without adding any sugar or milk. It is intensely flavorful and something for chocolate lovers to try. It has all the antioxidants of chocolate without the calories. Buy at Crio Brű or Amazon.com (below). A reader e-mailed me about al fresco chicken sausages so I had to give them a try. I think fully cooked sausages or meatballs are a great meal short cut - and THESE taste delicious. My kids went nuts over these Jolly Llama Sorbet Squeezups that are made with whole fruit - not concentrates or juices. There is added sugar but unlike other popsicles that I have reviewed (see: Don't Be Fooled By This Popsicle Marketing Trick), the FIRST ingredient is fruit. 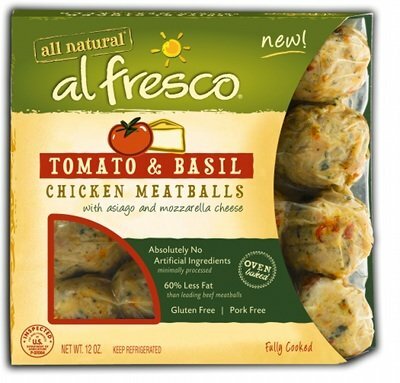 I absolutely LOVE al fresco products too :) SO flavorful and healthy. Something I can definitely feel good about snacking (or mealing!) on! Thanks for the Al Fresco tip! Looks like they sell at my local markets. I'm going to try those. I just tried the brewed cocoa a couple of weeks ago and I LOVE it! I love coffee but can't handle caffeine and I find this is a great substitute. I drink it "black" but I'm sure it would be great with milk or sweetener too. Thanks for stating that the Crio Bru is LDS approved. I think I will purchase some and try it! I have not heard of brewed cocoa, but it sounds fabulous! I also love al fresco products - the apple flavored chicken sausage was a fantastic addition to my shrimp and grits a while back!! we recently tried Thin & Trim's Chicken Sausage. There were free samples of the Apple & Cinnamon sausage at the market. This is combination I never would have thought to try - but we love it! It is like a sweet breakfast sausage. I only bought 1 package because I thought it was a bit pricey and cut it up to split over 2 breakfasts. I haven't tried Al Fresco brand but I will look for it when I shop this upcoming week. Thank you so much for your wonderful tips. I love your newsletter and can't wait to try the Crio Bru. Literally a day or 2 after reading this post I watched Alton Brown's final Good Eats episode about chocolate. He made hot cocoa (that looked amazing and rather high in calories) using ground cocoa beans and brewed them just like coffee (then he added many more things). However, he didn't use a pre-packaged ground cocoa product. He just stated any good "perveyor of chocolate" would have ground beans, but I don't know where to find one of those. I really want to try it though (the coffee like drink, not his hot cocoa - well, I would love to try that, but I think it would be my calories for the day). I reviewed Crio Bru on my blog - I really like it!